SHANGHAI - China Petrochemical Corporation (Sinopec), Asia's largest oil refiner, plans to purchase the entire oil and gas assets in the Argentiniean arm of US-based Occidental Petroleum Corp (OXY) for $2.45 billion, its first foray into the South American country's upstream oil and gas sector. China's top oil producer will take over Occidental's Argentina units, which hold an interest in 23 production and exploration concessions in the Santa Cruz, Mendoza and Chubut provinces of Argentina, the company said in a statement on Dec 10. The transaction is subject to government approval, it said. The concession produced more than 51,000 barrels of oil equivalent daily in 2009, and the gross proven reserves and probable reserves stood at 393 million barrels of oil equivalent by the end of last year. "The step follows the company's global expansion ambition in some of its strategically important regions and will further lift the overseas asset proportion of the company total," said He Wei, a senior analyst at BOCOM International Holding Co based in Beijing. According to Sinopec Group, overseas assets made up 23 percent of its total by the first half of this year, up from 10 percent in 2006. Meanwhile, its overseas income proportion has increased to 27 percent of the total from 8 percent as of the end of June. Upstream oil exploration is the most profitable sector for oil refiners such as Sinopec, which has received more than 50 percent of its crude oil from exporters since 2005, analysts said. 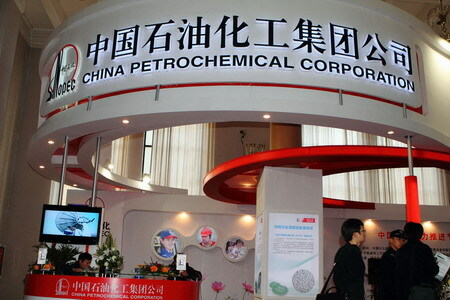 The profitability of Sinopec has lagged behind rivals China National Petroleum Corp and China National Offshore Oil Company (CNOOC), due to this heavy reliance on foreign oil imports, said Guo Haitao, assistant director of China Energy Strategic Research Institute at the China University of Petroleum. Consequently, the acquisition will help lift the company's profit-making abilities. The takeover comes just two months after Sinopec announced it was buying Spain-based oil producer Repsol's Brazilian unit YPF SA for $7.1 billion. "Latin America and Africa are among the major overseas destinations for domestic oil refiners, because some of the largest oil export regions, such as the Middle East, are dominated by the Western firms," said He. China's largest State-owned oil producers have stepped up the pace of their overseas expansion for natural resources to support the nation's fast economic growth, which requires resources to support it. CNOOC, the biggest domestic offshore oil and gas supplier, announced on Dec 8 that it will spend A$50 million ($49.26 million) for a 50 percent direct investment in Australia's Exoma Energy's coal seam gas project in Queensland.